A two-year fulltime program in creative nonfiction, fiction, or poetry with the option for a third year in an alternate genre. Students are admitted on the basis of original manuscripts, letters of recommendation, and undergraduate records. Our students hold degrees from fields as diverse as biology, English, business, economics and history, but most have had some exposure to a writing workshop. Students range in age from 22 to 75 and come from all over the world. December 10, 2018 is the priority deadline and includes an application fee waiver ($50 value). January 31, 2019 is the final deadline and requires a $50 application fee. I want to pursue an MFA in Creative Writing. Now what? Check out our Prospective Student page to learn about our application process, funding, and more! Schedule a classroom or campus visit. If you aren't local, we can connect you with our faculty, alums, or current students remotely. Contact Sara Mumolo, Program Director, for details. If you're applying for graduate financial aid, complete your FAFSA. The SMC MFA program welcomes international applicants from all countries. We have have alumni from all over the world, including Canada, China, Indonesia, Iran, and the United Kingdom. We model inclusive community built upon diversity and multiculturalism in which all members of our community are valued. We welcome all styles of writing: experimental, formal, genre, graphic, hybrid, literary, and other modes not yet defined. Our faculty and staff invest in students as artists, guiding their creative work and their development as emerging writers. For all the discussion and debate about MFA Creative Writing Programs, there is one truth inherent to the pursuit of the degree: during your years of study, nothing matters more than your writing. For those years, you are committed to learning craft, to reading widely and deeply, in a community of writers-in-training who believe that stories, essays, and poems can and do change lives. We believe the MFA experience happens off-campus as well. Being in the Bay Area, our students can immerse themselves into the local literary culture by attending author events, giving readings of their own work at various reading series (sometimes from inside a cage! ), and by taking part in annual literary events such as LitQuake and Beast Crawl. Our students also regularly attend the annual AWP Conference, the country’s biggest literary conference offering hundreds of panels on writing, publishing, and teaching. As we all know, life is incredibly busy; once you reach adulthood, the years are packed with jobs and careers, family and friends, traveling the world and making a home. This makes the years of an MFA Program even more special and, particularly in a climate when the value of art is constantly being questioned, vital. At Saint Mary’s, we believe in the cultivation of creativity and the nurturing of talent, and that both an education and life in art are the worthiest of pursuits. We hope we’ll have the chance to work with you. 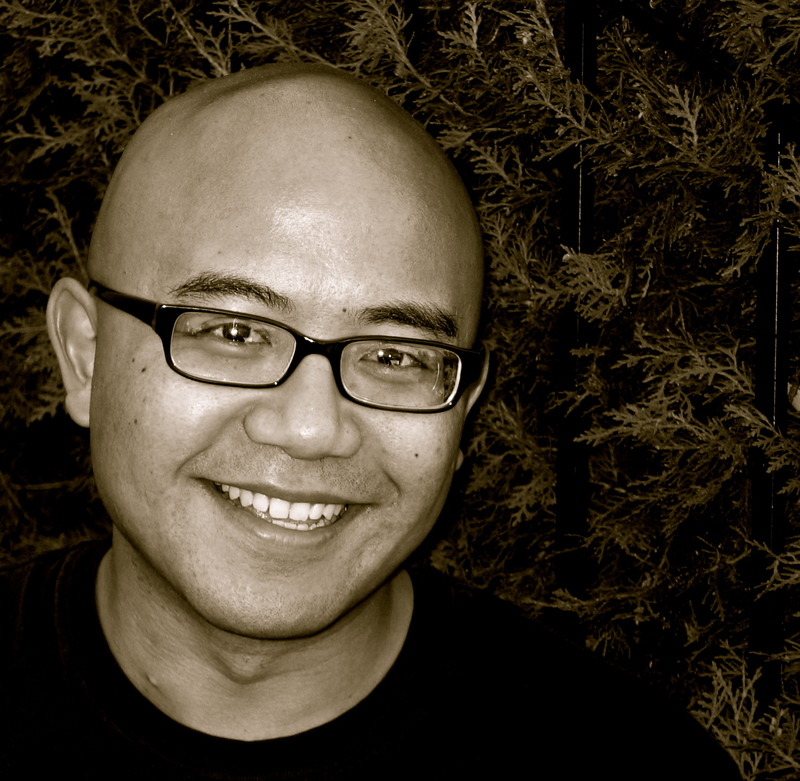 Lysley Tenorio is the author of Monstress, named one of the best books of the year by The San Francisco Chronicle, The San Jose Mercury, and the Los Angeles Public Library. A former Stegner Fellow at Stanford University, he is the recipient of the Rome Prize from the American Academy of Arts and Letters, a Whiting Writer’s Award, a Pushcart Prize, and fellowships from the Bogliasco Foundation, Yaddo, the MacDowell Colony, and the National Endowment for the Arts. His work has appeared in The Atlantic, Zoetrope, and Ploughshares, and his novel is forthcoming from Ecco/HarperCollins. We understand funding is a critical factor to consider when applying to an MFA in Creative Writing program. Our program and college offers these funding streams: scholarships, fellowships, and loans. Each student receives a scholarship during their two years in the program. Unlike most other MFA programs, we offer equal tuition scholarships to all students. Funding is typically larger in the first year than in the second year. Students receive funding notification for both years upon admission. Tuition for the 2018-2019 academic year is $27,000 for entering students. Tuition does not increase for students enrolled fulltime in the program for two years. If a student chooses to do an optional third year, tuition will increase. All applicants are automatically considered scholarships by way of their application materials. No additional materials are required. Scholarships are typically announced in conjunction with acceptances (but can arrive up to two weeks after an acceptance), disbursed after August 15, and applicable towards tuition. Funding for conferences and residencies is available through the Student Development Fund. Students might also consider applying for private scholarships through websites such as www.fastweb.com. Prospective students may apply for a Teaching Fellowship in either the Composition Program or the Center for Writing Across the Curriculum (WAC Fellows) when they apply for admission. Both Fellowship award amounts are disseminated directly to the student via payroll. Composition Fellows receive $5,000 their first year of study and approximately $5,000 their second year of study. They receive mentorship and training the fall semester of their first year, and they teach their own English 4 Freshman Composition course during the fall of their second year. WAC Fellows receive a stipend of approximately $2,500 in the first year and $11,000 in the second year. They receive mentorship and training during their first year, and they facilitate 6 writing circles in the writing center during their second year. The MARY Journal Managing Editor Fellow receives a partial tuition waiver, as well as compensation for serving as editor at the rate of $12.00 per hour up to $2,000 in their first year, and a $5,000 in their second year. During their first year they serve as Assistant Editor and receive mentorship by the Managing Editor. In their second year they assume the role of Managing Editor. No additional essay is required to apply to the fellowship, but please indicate in your personal statement if you are interested in the fellowship and why. We work with community partners to provide fellowships, internships and professional development opportunities for our students. This partnership network supports low-to moderate income students who are ethnically inclusive and have a high potential to succeed in the program. Applicants who wish to be considered for our community partner fellowships should indicate their affinity for the community partner organization and why they would be a good candidate for these fellowships in their personal statement. Hedgebrook: Women Authoring Change: The Hedgebrook Fellowship can defray up to 100% of tuition expenses during a student's first year of graduate study. This award is given to a distinguished candidate who is aligned with Hedgebrook’smission of practicing "radical hospitality" and "women authoring change”. The Hedgebrook Fellow supports an annual Hedgebrook writing retreat on Saint Mary's Campus for an additional hourly stipend. Kearny Street Workshop: Kearny Street Workshop Fellowship can defray up to 100% of tuition expenses during a student's first year of graduate study and includes an paid arts administration internship for $12.00 an hour up to $2,000 total. This award is given to a distinguished candidate who aligns with Kearny Street Workshop's mission of practicing art that empowers Asian Pacific American artists and communities. Founded in 1972, Kearny Street Workshop is the oldest Asian Pacific American multidisciplinary arts organization in the country. Lambda Literary: The Lambda Literary Fellowship can defray up to 100% of tuition expenses during a student's first year of graduate study and includes a paid remote internship at Lambda compensated at $12.00 per hour up to $2,000. This award is given to a distinguished candidate who is aligned with Lambda Literary's mission of believing Lesbian, Gay, Bisexual, Transgender and Queer literature is fundamental to the preservation of our culture, and that LGBTQ lives are affirmed when these stories are written, published and read. Loans require a separate application process and are not related to program scholarships, tuition waivers or fellowship awards. To be eligible for loans students must complete a FAFSA, be admitted to a degree program, and must be registered on at least a half-time basis. You can find out more about federal graduate student loans on the financial aid website. For more information on Federal Student Financial Aid Programs, please visit the Federal Student Aid website. There are many campus jobs available to our students, as well as Resident Director positions with campus housing that provide free housing in exchange for 15-20 hours of work per week. There are development grants associated with the college at large to support student conference attendance, as well as other funding opportunities that are available to our graduate students. A manuscript of your work in each genre you are applying: no more than 10 pages of poetry or 10-15 pages of creative nonfiction or fiction (fiction and creative nonfiction writing samples should be double-spaced. All writing samples should be in 12-point font.) Acceptable formats include .doc, .docx, or PDF. A personal statement should be at least two (2) but no more than five (5) double-spaced typewritten pages. In it, please describe in detail your background and current interests as a writer, as well as your ability and commitment to undertake graduate education at this time. If you have a particular faculty member you'd like to study with or if there is a specific reason you'd like to study at SMC please also indicate this in your statement. If you're applying to two genres, please address your abilities and experiences with regard to both. If you would like to be considered for any of our three (3) Community Partner Fellowships please indicate in your personal statement why you are an ideal candidate. ​​A minimum of two (2) but no more than three (3) letters of recommendation (LOR) from people who are familiar with you and your work. If possible, and if you are applying for the Teaching Fellowship(s) in Composition or at the Center for Writing Across the Curriculum at least one of your letters should address your apptitude for teaching. The online application will ask you to provide the names and contact information of the people who are recommending you and their contact information. Once this information is supplied, the online system contacts them directly, with instructions about how to upload the LOR's. If your bachelor's degree is in-progress, send an unofficial transcript now; then send the official transcript after your degree is posted. OPTIONAL: An essay of up to 1,000 words to be considered for Teaching Fellowships in Composition or the Center for Writing Across the Curriculum (WAC). The essay should describe your teaching experience or other relevant experience (i.e., editing, tutoring, coaching, professional writing, or any other distinguishing writing or mentoring experience), as well as your interest in and reasons for applying to the fellowship(s). Please be sure to comment on your teaching philosophy and include details about your values, beliefs, and approaches as a teacher. One of your letters of recommendation should address your relevant teaching experience. A $50 application fee. Pay by credit card via the online application or make checks payable to Saint Mary's College of California. The online application will provide further instructions for applicants who want to pay by check. Please note that the MFA Program does not require applicants to submit Graduate Records Examination (GRE) scores. In addition to the above application requirements, international applicants should visit the International Applicants page for a complete checklist of additional applicaiton materials. If you have any questions about the program or application process, please contact the Associate Director at 925-631-8556 or sm13@stmarys-ca.edu. Is your application deadline hard and fast? Do you allow students to enter in the spring as well as the fall? I am an international student. How can I apply? I am assembling my writing sample and wanted to gauge whether it was best to submit new work, published work or a mix. I'm wondering if the letters of recommendation should be geared more toward my work as a writer, how I would be as a workshop participant, or how I am as a student? Would more than two letters of recommendation or publications help my chances? What if I am interested in applying to more than one genre? If I have an undergraduate or post graduate degree in economics, business or science, it is possible to apply to an MFA in creative writing? How important is my undergraduate GPA? What if I don't have an undergraduate degree? Can you tell me more about the dual-concentration option? How can I apply for the dual concentration? How can I waive my application fee? What is the entire cost of attendance? Does the typical time of day that Saint Mary's offers graduate classes usually enable people who work during the day to still keep their job? Can a student concentrating in Fiction take a Poetry workshop or other Poetry course? If I am accepted to the program, can I choose to defer my enrollment? What happens to my scholarships/fellowship if my petition to defer my enrollment is granted? I'm attracted to Saint Mary's because of its Lasallian tradition. Could you tell me about these opportunities? I am a Christian interested in your program. Are all your faculty and students Christians? How can I get a better feel for the Saint Mary's culture? We admit no more than eight new students in each genre (creative nonfiction, fiction, and poetry) every year. The program is fulltime and cohort based with no more than sixteen students in each genre. Is your application deadline hard and fast? Yes, the priority application deadline for fall admission is December 10. If you apply by this date you can waive your $50 application fee. The final application deadline is January 31. If you missed the deadlines, but are prepared to submit your application please contact the Associate Director as soon as possible. Do you allow students to enter in the spring as well as the fall? Acceptances are announced mid to late-march at the earliest. It is not uncommon for notifications to continue through late April or early May. International applicants must submit all the same application materials as national applicants. There are additional requirements for our international applicants, and you can find out more about these on our International Applicants page. I am assembling my writing sample and wanted to gauge whether it was best to submit new work, published work or a mix? Your writing sample is most important element of your application. We encourage applicants to send their best and most polished work. The admissions committee will not consider whether or not your sample has been published, whether it is new or old—they base their decision on the quality of your work. Should my letters of recommendation be geared more toward my work as a writer, how I would be as a workshop participant, or how I am as a student? Letters of recommendation typically address the applicant's creative work and your potential for success in a graduate creative writing program. Sometimes these types of letter writers are not available to an applicant or an applicant may want letters to address both their creative work and their professional capabilities (i.e., a letter written by a former employer). We require a minimum of two (2) letters of recommendation and do not accept more than three (3). While it's always wonderful to know more about you, additional letters of recommendation will not affect your chances of admission. Applying to more than one genre is an option. You must submit one manuscript in each genre and clearly indicate on the manuscript itself which genre it pertains to (see online application). Ideally, your personal statement also addresses your abilities and experiences with regard to both genres. For more information, please take a look at our Application Checklist. Yes! We celebrate diversity and encourage applicants from all educational and professional backgrounds to apply. The admissions committee will look at your transcripts to determine that you have completed an undergraduate degree and are in good academic standing. Unlike other graduate-level programs, the MFA in creative writing puts more importance on the writing sample and personal statement. If you do not have an undergraduate degree we would still encourage you to apply. While most of our applicants do posses an undergraduate degree from a four-year college or university, there are a handful that do not. We will accept applicants who do not have a four-year degree and have processes in place to determine qualifications based on experience and relevant professional experience. This is handled on a case-by-case basis. Contact the Associate Director for further details. If you are interested in deepening your study in another genre after completing two years in the program, you may consider applying to the dual-concentration. This is a unique opportunity afforded to very few students. Dual-concentration applicants will complete an additional, accelerated year of study in the second genre of their choosing. In one year they will complete a new thesis in that genre, as well as all relevant course work. Dual-concentration students will complete their degrees after the completion of their third year. They have the option to participate in graduation ceremonies upon completion of year two or three, but can participate in commencement only once. 1) In your initial online application by indicating your primary and secondary genre and submitting a manuscirpt in each. Your manuscript in each genre is reviewed separately--one does not affect the other. If accepted, you will be offered admission to the genre where you ranked higher. A very select number of applicants may be admitted to both genres whereby you enter a three-year program, spending the first two years in your primary genre and the third year in your secondary genre. 2) Once an admitted student and in your third semester you will work with your academic adviser to submit a dual-concentration application. This is an abbreviated application process and all materials are due by the January 31 deadline. Your application is considered with the entire applicant pool that year. You will be notified of your admission into the dual-concentration in your fourth semester. Email our Associate Director to find out your options. All applicants are automatically considered for the Program's merit-based scholarships by way of their application materials. No additional materials are required. Every accepted applicant receives some scholarship award. We do our best to announce scholarships in conjunction with acceptances. We work year round to raise scholarship monies and it is common for amounts to change for the better between the time of acceptance and the first day of classes. Funding is always a crucial component to consider when applying to MFA's. While we are not a fully funded program, all of our students receive some form of scholarship during their two years in the program. Also, every matriculated student is locked into their tuition rate for the two years they are enrolled full-time. Federal unsubsidized graduate student loans are available to all students. You'll want to be sure to complete a FAFSA and a Saint Mary's application for financial aid. You can find out more about federal graduate student loans on the financial aid website. Additionally, there are many campus jobs, including the opportunity to work in our writing center, and other grants associated with the college at large and other outside funding opportunities that are available to our graduate students. $27,000 for the 2018-2019 academic year. You can find out more information about the associated costs of attendance by visiting the financial aid website. In the first semester the program holds classes on Monday, Tuesday, Wednesday, and Thursday. Every semester after the first classes are held on Tuesday, Wednesday, and Thursday; we never hold classes on Friday. Typically, classes are held in the late afternoon (3p or 4:30p to around 4:30p or 7p). Workshop is held on Wednesdays from 4p to 7:15p all four semesters. The Foundations in Contemporary Literature course meets on Monday in the first semester only from 6p-9:15p. Many of our students hold down jobs and are able to maintain their academic, professional, and personal schedules while in the program. Yes, you may take craft courses outside of your genre. Unfortunately, students are not allowed to take workshops outside of their genre. Any craft course taken outside of your genre will satisfy one elective credit. Our class sizes are small that allow students and faculty have the time and attention to shape meaningful creative relationships. This is one the very special aspects of our program. Class sizes will typically be no larger than sixteen students. If you are accepted to the program the option to defer for one academic year is a possibility. The admissions committee handles requests for deferment on a case-by-case basis. To request a deferment you must file a Petition for Special Action. If your deferment is granted a tuition deposit will be due approximately one month from the decision date. Please note there is no guarantee your petition to defer enrollment will be granted. You will be notified in writing of your deferment decision. Most importantly, deferments are granted for only one academic year and can only be requested once. If your deferment is granted, you will forfeit any awarded scholarships and fellowships. A $400 tuition deposit is required, the deadline of which will be outlined in the official deferment letter. Students in deferment have the option to resubmit any portion of their application materials (manuscript, personal statement, letters of reference, teaching fellowship essay) for merit-based scholarship and teaching fellowship consideration for the following year. The program will need any updated materials by the January 31 application deadline of the year they intend to enroll. Yes, we celebrate inclusion! We are diverse in terms of age, ethnic background, experience, aesthetic, you name it. It is one of the wonderful aspects of our program. Our students come from many different backgrounds, cultures, and disciplines with undergraduate degrees from English to Biology. They are from many parts of the world and range in age from 22 to 75! The MFA Program is proud to keep with the Lasallian mission of the college. We invest in the student as a person and emphasize diversity, shared inquiry, and community engagement, and we pay a deep respect to unique ways of knowing. One of the strengths of Saint Mary's is its intellectual and spiritual diversity. Not all of our teachers are Catholic; some are Jewish, Arab and Hindu. We have spiritual diversity. We don't require that all our students, faculty, staff be practicing Catholics, though some are. We are grateful for the range of experience in the lives of our student body, faculty and staff, and we have no doubt that you would find your place in our community. There are a number of ways to get a better feel for the Saint Mary's culture. If you are local we encourage to visit our campus and sit in on one of classes. Please contact the Associate Director to make arrangements. You can attend one of our Creative Writing Reading Series events or Afternoon Craft Conversations to get a glimpse of the literary culture. Both are free, open to the public, and regularly attended by our current students, faculty, staff, and alumni. We can get you in touch with a faculty member in your genre that are happy to chat over email, phone, or even Skype. We're also happy to get you in touch with current students and/or graduates of our program. Or, you can take a virtual tour of our beautiful campus! If you have any questions about the program or application process, please contact our Associate Director, Sara Mumolo at 925-631-8556 or sm13@stmarys-ca.edu.